Have you ever gone and bought a product simply for the packaging, without caring in the slightest whether or not it would be any good or not? Hoping that it would, of course, but being ok if it weren't. I have. And I'm not ashamed, not even a little. When I saw that Missha had released a Wonder Woman collection, I knew instantly I was buying one of the BB cushions. So I bought the blue one, the moisture version.... and then went and bought the regular one, the red, because I loved the blue so much! 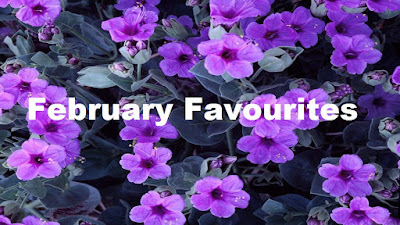 Today I have my February favourites to share with you guys! A few of these were also favourites in January, but I didn't get a chance to write about them and they definitely deserved mentions so I've included them here.